Every woman experiences hot flashes before and after a menopause. Their frequency and duration can vary for each women and is not a cause of concern in most cases. But for some women, it can degrade the quality of life. Symptoms of hot flashes include a feeling of heat throughout the body, burning sensation, sweating, increased heart rate and redness all over face. Though an exact reason for the onset of hot flashes is still not known it is assumed that the changes in the estrogen levels cause this debilitating condition. This happens around the age of 50 when a women approach towards menopause. Due to these changes, the hypothalamus located inside the brain which acts as a natural thermostat for the body falsely assumes the body to be overheated and comes to action. For this, it enlarges the blood vessels near the skin surface producing sweat. When this condition occurs at night, it is known as night sweat and can adversely affect the sleep cycle and in turn affect other areas of life as well..
For treating hot flashes, Hormonal Replacement Therapy is among the most common conventional treatments. This therapy optimizes the estrogen levels in the body back to normal alone or in combination with progesterone depending upon what a doctor may deem necessary. But the side effects associated with these therapies should be known before proceeding with these therapies for relieving symptoms of hot flashes. These include an increased chance of blood clots, gallbladder inflammation, breast cancer, stroke risks, urinary incontinence, etc. Further, if you stop using HRT treatment, hot flashes will return back. Now here comes the need for alternative therapies that can not only provide symptomatic relief but also a permanent healing from within. 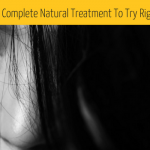 There are various natural therapies which can be used to relieve you of the hot flashes naturally, but one natural treatment that is gaining attention and to which an increasing number of women are shifting to is homeopathy. 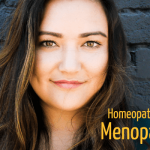 Homeopathic treatment for hot flashes looks for an overall well-being, lifestyle, behavior, previous menses history, past medications.etc for individualized treatment. 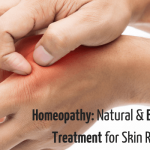 A homeopathic practitioner tries to heal the symptoms such that an overall well-being is obtained. Causing no side effects and addictive behavior, homeopathic remedies which are made from all natural resources help manage your hot flashes effectively. Considering each women as unique and having different healing requirements, the homeopathic treatment is highly personalized. All the remedies for hot flashes are aimed at regulating the hormonal levels, overall health and raising inner vitality to combat symptoms. 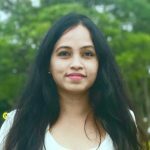 Taking into consideration all the factors that make up the beingness of women, homeopathic treatment for hot flashes provides an inner healing. 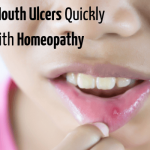 Homeopathy does not cause outer suppression of symptoms that can lead to recurring patterns of the condition. The most popular remedies in homeopathy for hot flashes are Lachesis, Sepia, Belladonna, Bryonia, and Graphites which can be taken on consultation with a homeopath.